If you have 12 years or 13 years old kids, then probably, they are playing for the high school baseball, and probably you’ve thought many times about buying a high-quality BBCOR Bat for them. 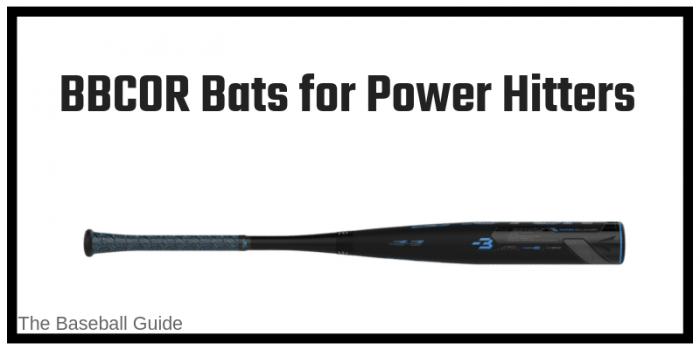 What are the best BBCOR bats in 2019 for power hitters and contact hitters? If a bat follows BBCOR rules & regulations, then you can find a “BBCOR Certified Mark” on it, somewhere on the barrel. If you have some doubts about the BBCOR concept, then this you should read this simple explanation of BBCOR Bats. So, let’s find the perfect 2019 high school BBCOR bat. If your son is in high school, and he is a power hitter, then Easton 2018 Ghost X BBCOR Bat is the best thing that you can gift to him. The power hitters face vibration issue in their bats because they strike the ball with full power. Therefore, in this new Easton Ghost X, the company did a good job, and it reduced the vibrations without compromising the performance. The X-tended Barrel Design will provide your son one of the longest barrel bats available on the market. If you take a closer look at the customer reviews of Easton Ghost X, you’ll see many reviews from the parents who expressed their feelings because their son loves the Ghost X and doing wonders on the field. It is slightly costly, but you can’t expect high-quality power-hitting performance in the cheap bats. For any reason, if you want a power hitting BBCOR bat for your son, then the new Rawlings 2019 Threat BBCOR Bat is here. As you can see, it is the brand new in the BBCOR series, and it is getting some excellent reviews from the young high school power hitters. The extended sweet spot along with the one-piece construction and balanced feel makes it a perfect budget-friendly bat. Of course, Rawlings 2019 Threat can’t compete with Easton Ghost X, but when if you compare it with other under $100 bats, you’ll love your new Rawlings Threat Bat. If your son is a contact hitter, then I’ll recommend you should buy Louisville Slugger 2019 Omaha 519 BBCOR Bat. It has a balanced swing bat that gives a player proper control of the swing that helps him to give desired direction to the ball. With the huge sweet spot along with the balanced swing weight, a player can easily strike the ball every time. It’s slightly costly, but it is totally worth the price. 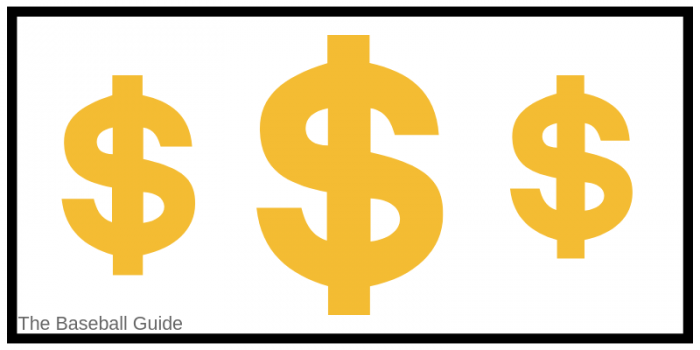 You should definitely consider it and see if it fits in your budget. You can’t swing your bat with your maximum speed and control if you don’t have a grip on your bat. 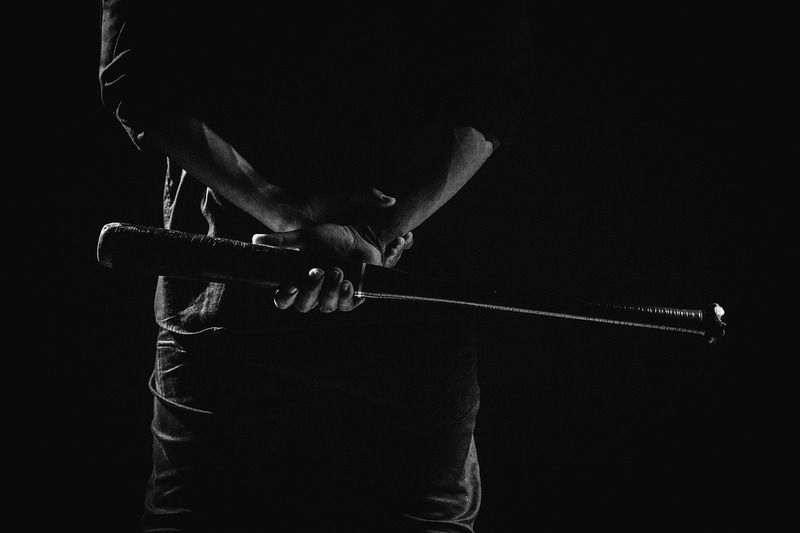 No matter, how good your baseball bat is, if it provides a poor grip, then the overall performance will be low. If your bat has a good grip, then you can quickly adjust your bat according to the pitch. Nowadays, Lizard Skin is one of the greatest grips that are used by some BBCOR Baseball Bats. Some brands like Rawlings, Easton, and others also use a custom grip on their bats. Every year, major brands like DeMarini, Rawlings, Easton, Louisville Slugger etc comes with a new addition. In most of the cases, the new bat is slightly better than the previous year’s bat. So, I highly recommend that you should not buy an outdated bat. You can purchase a last year’s bat, but not two or three years old bat. So, make sure, you buy the latest 2019 bbcor bats that follow all the latest rules & regulations of the baseball leagues. Same thing happens with the DeMarini CF7 BBCOR Bat. There was a time when it was popular, but now, you can get much improved bat at the same price. The power hitters are the players who can change the game with a single swing. If your son is a power hitter that means, he hit the ball far. While some players don’t try to hit the ball as far as possible. They play safe, nice and slow. They are known as contact hitters. If you are purchasing a BBCOR bat for the power hitters, then your bat should be end loaded. The end loaded bat means, there should be some weight at the end of the bat. Due to this weight, a player can hit the ball with more force, but it also reduces the swing speed. When purchasing an end loaded or power hitting bat, you should make sure that it has a proper distribution of weight along with the right amount of weight at the end. I’ve written another article, where you can find more information about theend-loaded bat and balanced baseball bats. Generally, you’ll find BBCOR bats that will range from 31 inches to 34 inches. 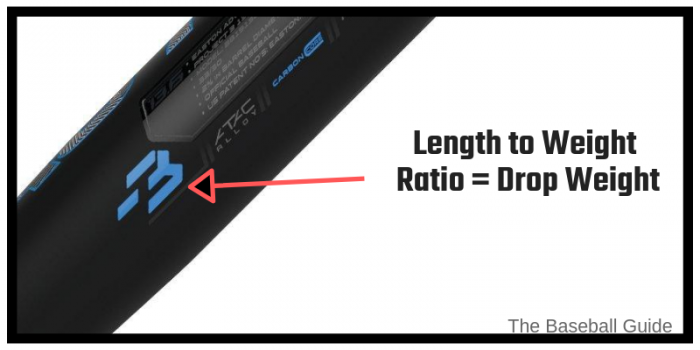 But, there are also some brands that offer smaller versions like 29 or 30 inches length. The High School Baseball BBCOR Bats should have -3 length to weight ration or you can also call it as “drop”. Let me show you a simple example. A drop -3 BBCOR Bat means that its weight is 3 ounces less than the weight of the bat, while length and weight are measured in inches and ounces. So, if the length is 33 inches, and its weight will be 30 ounces. You have to choose a bat which is perfect for you in terms of length because the weight will be according to the length of the bat. If you choose a bat with more length in the hope of big barrel and extra sweet spot, then it’ll also reduce your speed to swing a bat. I have also written a short article about “what does bat drop mean“, that clearly tells about the concept of bat drop in a simple language. You can also check that. If you are looking for a BBCOR certified baseball bat for the high school, then 30 to 33 inches long bat may be a perfect option for you. As, it highly depends on the player’s body structure and the age of the player, so while taking the decision, make sure you think about it. You can also check this short article about how to choose a baseball bat of the right size or this one. If you are a 13 or 14 years old player, then 30 or 31 inches bat may be good for you. While, if you are older than that, the 32 or 33 inches bat is perfect for you. You should consider that if you have a good physique as compared to other players of your age, they may be an inch larger bat you should buy. The barrel diameter of a BBCOR Certified bat does not exceed 2 5/8 inches, and it follows the drop -3 rules. The every High School BBCOR Certified Bat will have a BBCOR Certified Mark on it. This clearly tells that this bat follows all the rules and can be used in the College Level and in the High School Baseball. You can see the image of BBCOR Certified Mark in the below. So, before purchasing a BBCOR Bat for your High School league, make sure to check the BBCOR Certified Mark on it. It will be present somewhere on the barrel or taper. You may know the difference between BBCOR and USA bat, but first time buyers may get confused. So, get all the information before purchasing anything. By looking at the title, you can guess the meaning of it. The one-piece bats are made from a single material, while in the two-piece bats, two materials are used. The handle and barrel are made with two different materials, and then they are fused together. The one-piece bats are stiffer, and sometimes create vibrations in the hands when you hit a baseball. While two-piece bats are made from the composite materials, therefore, generally they’re lighter and that helps to swing the bat quickly. If you want to know more, then just bats have published a good article about it. An alloy bat is made from a metal like aluminum, and in most of the cases, alloy bats are one-piece bats. While the composite bats are made with composite materials like carbon fiber. As the composite bats are lighter, therefore the barrel length can be increased longer as compared to alloy bat, and even it won’t affect the swing speed. Due to the long barrel, composite bats have a bigger sweet spot. So, it increases the chances of hitting a baseball because of the larger sweet spot. Mostly, wooden bats are made from the ash wood. While the other woods that are also used for making bats are Hickory, Bamboo, and Maple. For the young baseball players, the composite bats can be a good choice. As they are not very good players, therefore, the bigger sweet spot helps them to hit a ball. While, in the college level baseball, the players become good power hitters, and therefore, generally they prefer alloy bats. The hybrid bats are a combination of two materials: alloy and composite. As, two materials are used in single bat, therefore they are two-piece bats. A good hybrid BBCOR bat can be the one which has a composite handle to dampen the vibrations, and an alloy barrel because alloy barrel is known for the nice contact with the ball. There are many brands that manufacture BBCOR Bats. But, a few brands are dominating when it comes to these kinds of bats. 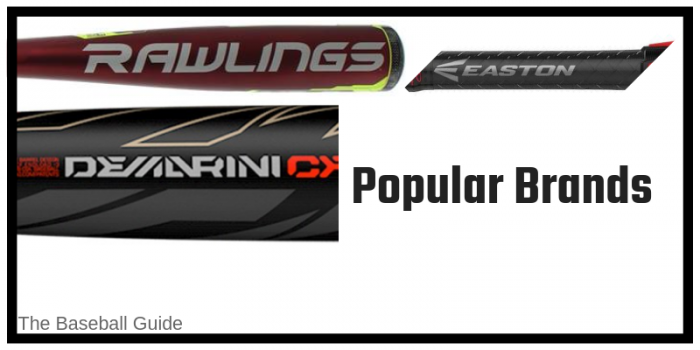 Some popular brands are Marucci, DeMarini, Easton, Combat, Louisville Slugger, Rawlings, and a few others. You can find a bbcor bat for your high school baseball at a broad price range. You can expect a good bat for as low as 40$. But, a cheap bbcor bat can go dead quickly. As the price increases, the quality also increases. For your high school or college level league, you can choose a cheap 50 to 60$ bat or you can buy a high-quality bbcor bat by spending 5 to 6 times more money. You can find some of the best 2019 high school bbcor bats in the price range 60$ to 600$. This totally depends on your budget, but, if you can spend more than 150 or 200$, then it’ll be a good investment because you’ll feel the difference between a cheap and a high-priced bat. Easton 2018 Ghost is one of the best BBCOR bats for the young high school players. It is available in different sizes from 30 inches to 34 inches, so whatever your age is or your height, you can find this Easton bat for you. It is one of the most powerful composite bats that you can purchase right now. This is made with the patented CONNEXION + two-piece technology that helps to reduce the vibration in the handle when you hit a ball and at the same time it makes it lightweight. Due to the two-piece technology, it makes it possible to make a long barrel without increasing the weigh to the bat. Therefore, it gives the player a massive sweet spot that every hitter wants. With Easton’s new technology, Engineering X Advanced Carbon Technology (EXACT), the two-piece construction of handle and barrel reduces the vibration to a great extent and at the same time optimizes the barrel performance. The HYPERSkin bat grip provides a fantastic grip to the player so that he can swing the bat with his full power and control. This BBCOR Certified Easton Bat also offers a One-Year Manufacturer’s Warranty. When it comes to manufacturing of baseball bats, then Easton is one of the most trusted brands. You can find their bats reliable and of the highest quality. You may find the price is a little higher as compared to some cheap bats, but believe me, the quality is far more than those bats. Easton is one of the most trusted bat manufacturers in the world. If you want to buy a high-priced BBCOR Bat for your high school, then Easton should be on your list. This bat is perfect for high school and it is available in different sizes, so whether you’re 12 years old or 16 years old, then this is the bat that you can trust. I highly recommend that you read the customer reviews of Easton Ghost 2018 Bat, before making your decision. The Marucci Cat 8 BBCOR baseball bat comes with a -3 length to weight ratio along with a 2 5/8” ring-free barrel construction. This type of construction is most suitable for making the ball travel to a high distance and it also enhances the barrel flex. The barrel of this bat is also precision-balanced to make it lighter and good for swing and control at the time of play. It houses a single-piece construction and provides a nice and consistent swing. The handle furnished with soft-touch grip along with an ergonomic knob on the top. The price of Marucci CAT 8 is acceptable because of its construction and quality. It is good if you compare it with the other available brands as well. The only thing that can make you against this bat is its swing weight. It is bit heavier but provides a balanced swing for sure. The Marucci CAT 8 actually for the power hitters who do wish for a good balance and swiftness. This is a high-quality bat and durable for longer uses. Therefore if you are looking for a best quality baseball bat with all the newest features then this is the best one for you. Get Marucci CAT 8 if you are quite serious about your performance and want to show the best of your ability. The Rawlings Threat High School Bat is a single-piece construction and made of high-strength and good performance aerospace grade alloy. For quicker swing speed and expanded sweet spot, it comes with a newer barrel design. The USP of this bat is its power, durability and a conventional feeling. It stays above the expectation and provides excellent performance every time. If you like to experience the excellence while batting then Rawlings Threat is just for you. At its price, this bat just brilliant, and bring back all the money you spend with its swing. It can be your cage bat or practice bat as well. So don’t look further and go with Rawlings for having some outstanding stuff in the field. The Marucci Cat 7 BBCOR Bat is simply better than the previous bat of this series, Cat 6. The Marucci Cat 6 Bat was a successful bat that was quite popular among players, but this bat is better as compared to the previous one, Cat 6. In the Marucci Cat 7 BBCOR bat, the sweet spot is doubled as compared to the CAT6. So, it is simply better and more helpful for the hitters. You can also read the detailed review article about Marucci Cat 7. The company provides this bat in various lengths from 30 inches to 34 inches, so you can find a bat for your desired length. For the clean construction and traditional feel, the one-piece alloy construction is used in the manufacturing of this bat. Therefore, this may not be as good as composite bats, but still, it is one of the most popular BBCOR Bats. Because it is one of the best. It has a large sweet spot, and because of the 2nd generation Av2 anti-vibration knob, the vibrations are very less. For the faster swing speed and improved balance, barrel end wall thickness is specially measured. With 2 5/8 inch barrel diameter, it follows the BBCOR rules. In the manufacturing of this bat, the company used the AZ4X alloy which is the strongest alloy that is used by the Marucci. Along with that, you’ll also get a One-Year Warranty. This bat is very successful and popular in the high school baseball players. The one-piece construction along with the usage of an alloy may speed to spread vibrations in the bat when you hit a ball, but Marucci has done a great job in that. The vibrations are very low, and you’ll not feel them. Does this Marucci CAT7 Bat be worth buying? This is one of the best bats that you can purchase. This Rawlings 2018 BBCOR Bat is specially designed for the High School and Collegiate Players. Rawlings is one of the oldest brands that manufacture baseball equipment. So, you can trust them because they have been improving themselves for years. They have an experienced staff that helps each other to create a high-quality bat that gives maximum advantage to the hitter. This is made from the loudest acoustic alloy that is available on the market. You can find the BBCOR Certified Mark on it, so there will be no doubt about that whether this is BBCOR Certified or not. It is available from 31 inches length and 28 ounces weight to the 34 inches length and 31 ounces weight. While the barrel size 2 and 5/8 that complies with the BBCOR Standards. So, it is a good choice for the players whether they are 11 or 12 years old or 16 years old. To decrease the weight of the barrel, ultra-lightweight carbon fiber is used in the construction of barrel. This helps the hitter to swing the bat with the maximum speed and can easily hit the high-velocity pitches. The specially designed grip makes it easy for the hitter to hold and swing it with a proper grip. This Rawlings 2018 Bat is a really good drop 3 baseball bat that can be used by 12 or 13 years old high school players. It is available in different sizes along with that it is also lightweight. So, it can be a number one choice for them. The sweet spot of this bat is also considered good as compared to previous bats of Rawlings. This is a drop -3 BBCOR Bat that is legal to use in High School Baseball and in NCAA. With the length to weight ratio of -3 along with 2 5/8” barrel diameter, it is BBCOR Certified. This is not a high-priced bat, you can purchase it for less than 130$. So, it is affordable for the high school players, because in many cases, the high school players don’t want to spend 300$ or more on bats. So, this is one of the best affordable BBCOR Bats for High School players. The 1 piece bat construction along with the aluminum alloy makes a perfect bat for the young players. But, as the alloy bats are not as lightweight as composite bats, therefore, you may not get the sweet spot as large as composite bats. This can be a little issue for the new players because, at that time, the new players are not very trained, so a large sweet spot helps them to easily hit a ball. But, here, the sweet spot is not as large as composite bats, so this can be a little problem for the new players. The durable synthetic leather grip is used for the construction along with the standard handle of 31/32”. The 2 5/8” barrel is present that follows the BBCOR Standards. As compared to the price of this drop 3 bat, it is really good It may not be as good as 300$ composite bats, but still, it is considered good for the young players. If you want to buy a good quality BBCOR bat that is affordable as well as follows High School BBCOR Standards, then Louisville Slugger is one of the best choices you have. It is affordable, BBCOR Certified tried and tested by many young players. It may not be as good as 300$ composite bats, but you can’t ignore this bat. It is a budget-friendly bat that you should consider before buying any bat whether a high-priced or low-priced. DeMarini Voodoo is a 2 piece hybrid model with 4 alloy barrel made with latest technologies. This powerful bat gives a very comfortable feel and produces a wonderful sound to the professional ears. 2 ⅝ inch big barrel clubbed with thicker aluminum walls give minimized performance. The latest model with the 3 fusion taper heavily improves the weight distribution across the bat and ensures a steady and jazzy performance to enhance the productive hitting, a 3 fusion end cap is available there. The paraflex plus composite handle gives amazing and stability to the player. In a nutshell, it’s going to give strength, durability, power, excellence. If your sense of timing is good, this bat will enhance your performance and make you swing the bat and end up giving some unbelievable performances. So when you swing the bat, the most important thing that can make or break the performance is the vibration of the bat. There are lots of vibrations and noises take place in a field. When you are playing a match, you need to shed off negative vibrations. The 14 alloy barrel that gets attached to the outer layer of the bat gives wonderful vibration control feature to the bat. While testing the product, mild sound and almost no vibration get recorded. Hence the performance of the player that uses the bat will certainly enhance as the vibration control system of this bat is amazing. Baseball matches are quite harsh. When you are in the field you can experience any sort of problems during your match. You need to make sure that you choose a bat that is comfortable. The DeMarini Voodoo is one of the BBCOR bats that is wonderfully crafted and amazingly comfortable to use. Markings, scratches are part and parcel of a bat. The DeMarini Voodoo ensures a comfortable atmosphere throughout the journey. This is one of the best hybrid designs available in the current market. This bat ensures a wonderful match for you. It enhances the performance rate of the product. If you want a cool attitude, DeMarini is just there for you. The end cap of the bat is quite ecstatic and wonderful. 3 piece hybrid construction gives a sturdy finish that controls vibration to a supreme level. DeMarini gives immense comfort and wonderful grip. Alloy barrel gives the utmost durability. The one and only con of this product is the high-end price of this bat. If you want a successful match then DeMarini Voodoo drop 3 bat is just there for you. You can’t be able to get anything better than this in this price range. Your hard earned money will be justified if you choose this bat. The BBcor bat is approved for the college and high school tournaments. So if you want to shine in the Junior league divisions of Little League, then DeMarini Voodoo is the only way out for you. Louisville Slugger 2019 is a single made wonderfully crafted BBCOR baseball bat that gives you wonderful confidence to make wonderful shots throughout the match. This high-performance bat is wonderfully crafted with the latest technology and alloy barrels are attached to the bat to give it some amazing stability and devoid it off from making unnecessary vibration and noises. The newest design coming straight out of the designer’s interiors offer a wonderful match for the youngster of your house. The young player that is going to debut with this bat is going to have a successful and shining career throughout just with the use of this bat. Two types of handle loads are available in the market. Stability is the key of any sort of hitting and that is the reason people always jump for evenly spread weight across the bat. If you are a leaner and shorter person, for you carrying a bat with evenly loaded weight is the best option. But if you are sturdy and can bear a little more weight then nothing can really beat end load bats. If you research a little bit, you will get to know that most of the star players prefer these end load bats. This will give you a wonderful swing when you use the bat. Louisville Slugger 2019 comes with a little heavy load in the edge and that makes it a perfect pick for the players that are on the sturdy side. Louisville Slugger 2018 used to have lizard skin grip. But it is said that the prime version, the 2019 version doesn’t have lizard skin grip. The newest connective piece in Louisville Slugger 2019 is called VCX. This add on helps to distribute even weight across the bat. This feature also adds up more stability to the player. -3 length to weight ratio gives an amazing kick to the product. The product is stable and deadly at the very same time. For the youngsters that are working hard to flourish their careers in the field of baseball will find this bat to be very useful for them. Stability of the bat is amazing. Heavily end load grip for the players with sturdy physique. The main feature of this product is the BBCOR certificate. This makes it a perfect catch for junior players from different colleges and high schools. ST 7U1 with hybrid construction and alloy barrel gives wonderful stability. The composite handle makes it a firm grip for the players that are starting their careers just now. One year manufacturer’s warranty is one of the most amazing features that the buyers will look for. The main turned down feature of this bat is the high-end price. No matter how wonderful the bat is, the price is still a barrier for many! If you can spare a little more money then this is the best thing you can bet on. You are going to get a wonderful experience in the field and on the practice net as well! You are going to get smitten by the swing performance of this particular bat. So do not hesitate and go forward for Louisville Slugger 2019 for a wonderful match! Finding a complete potential in your swing can be achievable through Axe Bat 2019 Avenge Composite (-3) BBCOR Baseball Bat. The handle fits perfectly in your hand and provides a good grip. You can swing faster with its barrel control easily. 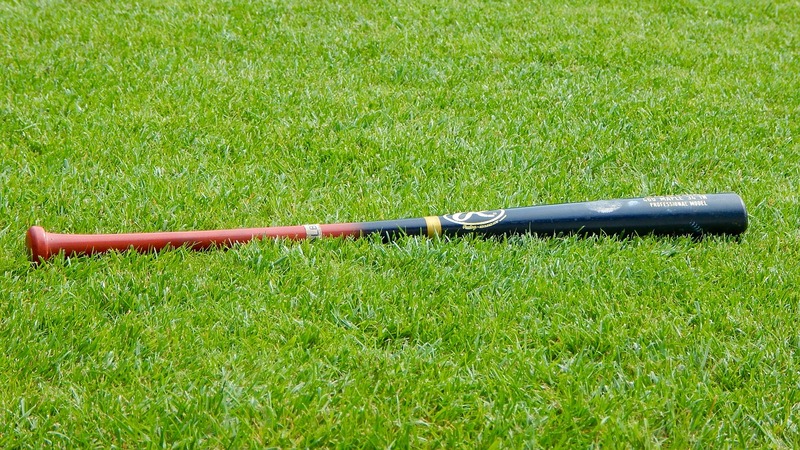 With Axe BBCOR Baseball Bat you can experience unparalleled robustness. The angled HyperWhip End Cap minimizes the unrequired weight at the tip of the bat, so you can swing your bat for additional speed. Its shock-absorbing Endogrid technology lessens vibrations and provides smooth and comfortable swing during play. If you are looking for a full swing bat with a giant barrel then this one is surely for you. The Axe Bat 2019 furnishes latest Axe Bat technology and the barrel measures around 2-5/8” along with 3 piece baseball bat construction. The handle offers maximum speed and better control during the swing. The carbon barrel is the largest in BBCOR family and suitable for explosion and durability. Its vibration canceling system furnishes an energy absorption collar right at the connection point reduces the vibration of the handle. This baseball bat is suitable for high school and certified with BBCOR. The Louisville Slugger 2019 Omaha 519 (-3) 2 5/8” BBCOR Baseball bat furnishes the BBCOR standard and comes with 2 5/8” barrel diameter. It’s one piece ST 7U1+ alloy co0nstruction provides firmness during handling. The 6star premium end cap design, as well as balanced swing weight, provides a superlative combination of control and swiftness. This is a durable and high-performing bat along with a one-piece design and its six-star end cap design provides an easy swing. It has a mass index range from 575 on 29” to 1030 on the 34 inches for a better swing. The lower the number the lighter feel of swing on the bat and then higher the number the more momentum it produces. Its LS Pro comfort grip provides you a perfect blend of approach and protection. Louisville Slugger is quite popular all over the world due to its enhanced technology and continuous improvement. With the Omaha 519 you can experience a world in the game of baseball. It furnishes matchless control and power to allow you to handle and hit in your way. It also provides a huge sweet spot and better feel on contact. Its handling furnishes a new VIBE premium vibration dampening construction which minimizes hand sting. The stable swing weight offers a blend of speed and power and its grip comes with better grip and cushion. The Louisville Slugger 2019 can be a perfect choice if you are looking for better control and swing. Apart from its innovative features the brand Louisville is one of the most trusted and innovative brands in this category. It has a worldwide presence and player like to go with this brand without a second thought. So you can zero your search here and own a baseball bat with better control and speed. These are some of the top-rated BBCOR Certified Bats for High School and College Level Baseball. If you are in high school, then you can choose a good bat for yourself. Along with that, there are some other brands that I didn’t mention here like DeMarini, Wilson, Mizuno, and a few others. They also manufacture some high-quality bats that can’t be ignored. But, I find these bats very popular, high quality, and one of the best choices for high school players. So, if you have any question, then feel free to ask in the comment section, or you can also give some suggestions if you have some information related to this topic.